This year, Sundance had some great news for all the supporters of female filmmakers out there. Around 52% of their 2018 short films lineup were directed by women—an increase from previous years. While this may seem promising, 2018 also brings an unwelcome, and frankly shocking, statistic. 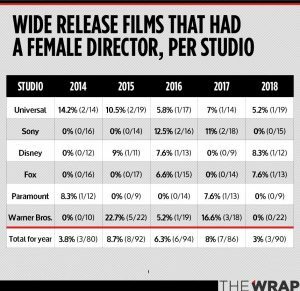 Of all the films released in 2018 by major studios, women direct only 3%. To add the cherry on top of this rather distasteful dish, three of the major studios: Sony, Paramount, and Warner Brothers, are releasing NO movies directed by females at all. When Jeremy Fuster from The Wrap reached out with questions for his article, many studios either declined to comment or were unresponsive. We already knew this in 2015, but are still here in 2018. 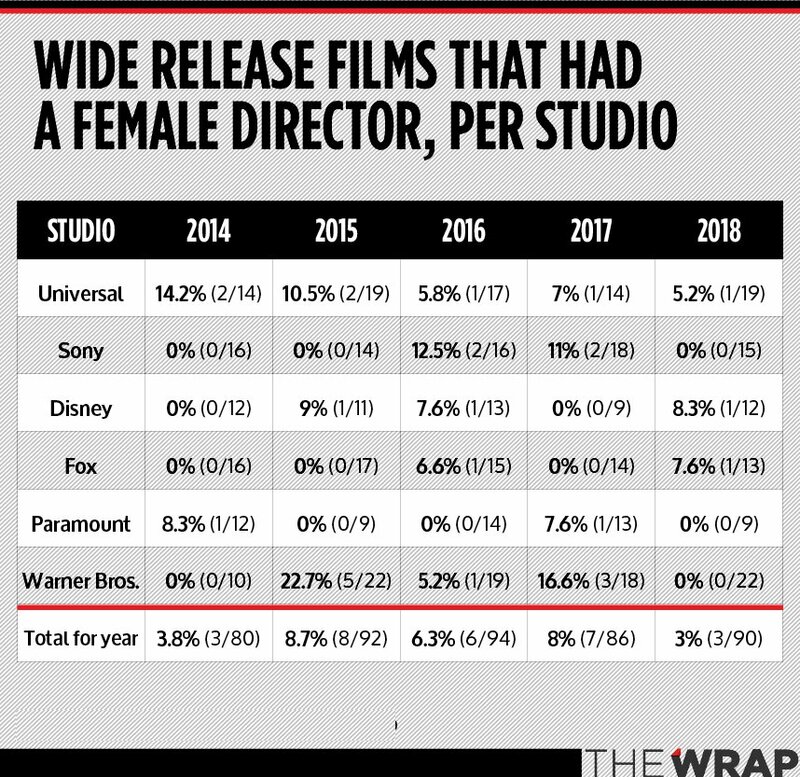 Let’s hope Paramount was serious about prioritizing female directed projects for 2019 and 2020 (The Wrap, Jeremy Fuster). As things are right now, the break in the career chain for women directors in film happens in the transition between short films and features. Short films are usually either considered a medium of filmmaking in itself, or as a proof of concept for a feature. Mudbound director Dee Rees’ sci-fi short film “The Box” is an example of the former, and director Chazelle’s Whiplash is an example of the latter. The short form is, unarguably, a much more attainable entrance point for up-and-coming filmmakers. It offers itself to exploration and experimentation—something that few people have the resources for with large-budget features. They are an excellent way for budding filmmakers to reach the audiences they need, in order to get a leg-up for the next step in their filmmaking career. Outside of film festivals and awards seasons, short films rarely reach the general public audience. Yet, they can be the epitome of how filmmakers hone their storytelling abilities. With such limited screen time, every moment needs to add something crucial to the story. There is no time to waste; the story has to come first. This is why it is so disheartening when such hopeful numbers from Sundance are accompanied by such devastating statistics from the studios. Maybe it’s time to pay more attention to those shorts that do demonstrate strong potential. Top Photo: statistics chart, taken from an article by Jeremy Fuster, The Wrap. 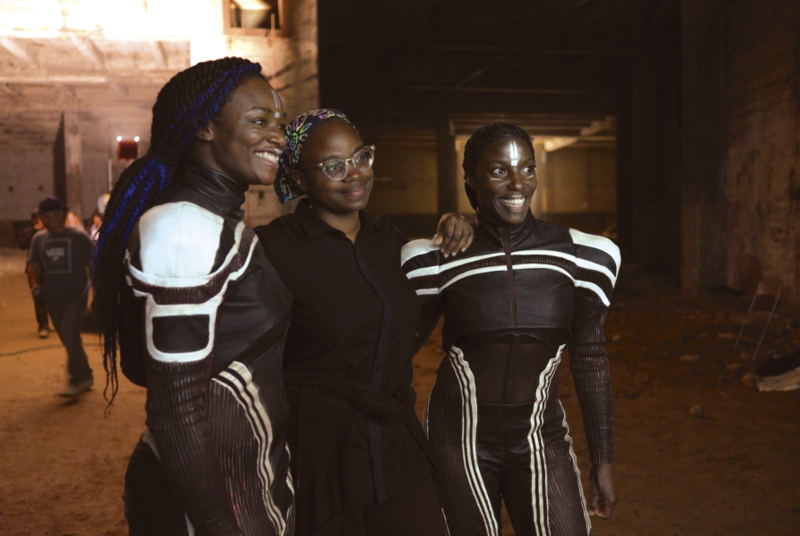 Bottom photo: Dee Rees on set of her sci-fi short, taken from an article by Dade Hayes, Deadline.